1. 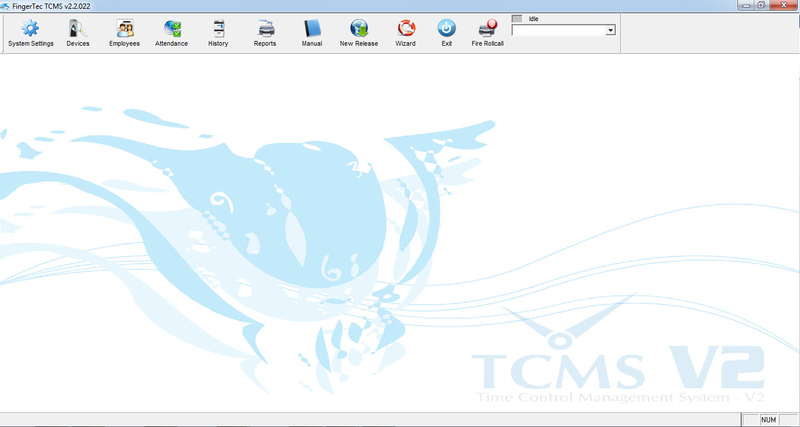 In the TCMS V2 software, click System Settings and select Change password. 2. Insert both the Login and Administrator passwords. Please make sure both passwords are different from one another. 3. When you log in to the TCMS V2 software, insert the Login password. 4. As you can see some of the configuration icons are not available in the software. The icons restricted are System Configuration, New Release and Wizard. 5. If you log in using the Administrator password, the software will display all icons for your usage. You can use 44232 to bypass the TCMSv2 password. Can anyone please help me reset my password to login to fingertec application? You can use 69840 to by pass the TCMSv2 password. Kindly change or remove existing password at System setting>Change password after you login the TCMSv2 password. You can use 41904 to by pass the TCMSv2 password. Kindly change or remove existing password at System setting>Change password after you login the TCMSv2 password. You can use 65184 to by pass the TCMSv2 password. Thank you very much, it's working very well..
Could you please send to me temporary password my number is 10191 . You can use 27936 to by pass the TCMSv2 password. Kindly change or remove existing password at System setting>Change password after you login the TCMSv2 password. You can use 48888 to bypass the TCMSv2 password. You can use 83808 to by pass the TCMSv2 password. i entered the programme but the options are disabled .Why? Did you do the terminal activation before? Without the terminal activation, the TCMSv2 will be disabled. Please arrange team viewer session with our support team if you need us to do the terminal activation. We already email the temporary password. Kindly change or remove existing password at System setting>Change password after you login the TCMSv2 password. We already email the temporary password to you. Appreciate your feedback if you didn't get the email. Thanks you. As requested, your TCMS temporary password is 25608. Thanks you. i did appreciate your effort, but pls someone closed the screen while i was away that is why i sent you my new number as 25944 to help log in. As requested, your TCMS temporary password is 55872. Thanks you. Thank you so much, is working now. Can you please help me reset my password? The number in the screen is 47028. Hello, Can you please help with my password reset. Number in screen is 18300. Thanks! This is a one-time password only. If you quit the software you will need to provide me with the new 5 digit password code again. You can use 58200 to by pass the TCMSv2 password. After entering the TCMSv2, kindly remove or change the password at System setting>Change password. Just want the clarification about your problem either you want to reset the password for TCMSv2 software or AC900 device. Appreciate your feedback. Hello Yusri, the System setting is greyed out and not allow me to click on. Please check your device connection. For temporary, Click Devices > Setup Fingertec Terminal, and change the connection method from TCP/IP to USB. After that, Click System Settings and change password. Already changed to USB but it is still greyed out. Now i closed the program and the password you provide earlier is invalid. You can use 39576 to bypass the TCMSv2 password. Is there a way to delete user without requesting fingerprint from he/she? Just want the clarification either you want to delete the user at FingerTec device or TCMSv2 software. Kindly you can email to support@fingertec.com if you have any problem with our product. Appreciate your feedback. You can use 74496 to by pass the TCMSv2 password. After entering the TCMSv2, kindly remove or change the password at System setting>Change password. You can use 76824 to by pass the TCMSv2 password. After entering the TCMSv2, kindly remove or change the password at System setting>Change password. My screen shows 16560. Can you give me temporary password to log in. Please kindly use 41904 as your temporary password to bypass Tcmsv2 password. Thankyou... and its working. Have changed the password. How about password on TA300 machine?? Previously, there is no admin and suddenly seems someone play with the machine and now I can't add new user, it always give "Admin Affirm" for new enroll, delete user, etc. Please help me how to reset the machine. We're going to have new employee soon. Thanks. In case you didn't connect it to the software, please contact your reseller, they will help you to reset the 'Administrator Privilege' at the terminal because only reseller have the authority to reset this terminal. For the random number of 49341 generate by TCMSv2, please insert 48888 for the password. i login correct but the program crash and when try to login again it give me invalid password access denied. The temporary password is one time used only, please send us the latest random number generated by your TCMS v2 again. Kindly use 46560 as your temporary password. Thanks. Please use 39576 as your temporary password. You can change the password at TCMS > System Settings > Change Password. Hi Faize,My screen shows 12361. Can you give me temporary password to log in. Please use 30264 as your temporary password. hi fai my screen shows 27685. Can you give me temporary password? As requested, I already email the temporary password to you. Regards. hi,my screen show 40398.please give me the temporary password. thank you.. Please insert 55872 for the temporary password that you request. Hope to get temporary password. 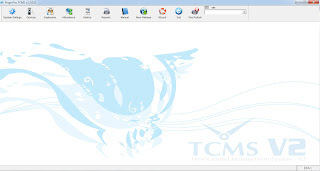 Btw,can i use tcms v2 for more than 1 pc? Please key in 53544 for the temporary password. 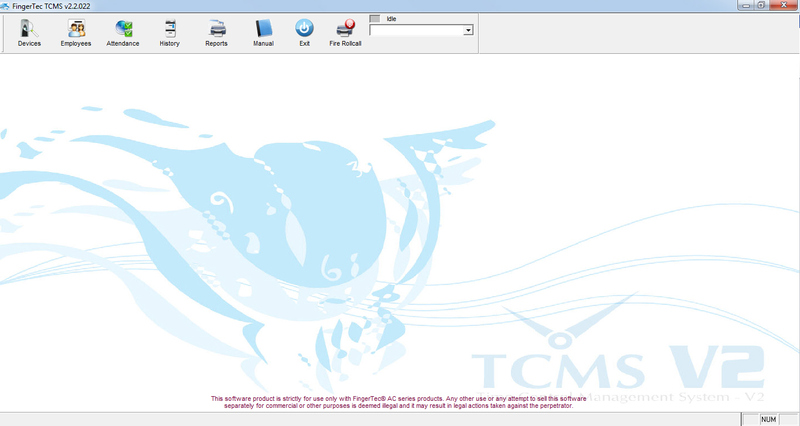 TCMSv2 is not a server client system. So we don't recommend user to install more than 1 PC. I have also forgotten my admin password for TA100C. (Running TCMS V2 ). Have already sent an email for recovery. Any quick help will be appreciated. Registered email is khuzafa@age.ae. The only way to remove the admin password from terminal is by using the TCMSv2 Software. You can refer to the following link for the step and procedure. In case you didn't connect the terminal with software, please contact your reseller, because only them have the authority to reset the administrator privilege at the terminal. Please notify me if the solution works for you or otherwise so I can assist you better. Thank you and have a nice day. Just received the new by pass password. I have changed the password again. I hope this time I will re-enter trouble free. If not , surely gonna come back here again. Thanks for the help. I am impressed with the good customer care service. My number show 46596,thank you in advance..
You can use 69840 as your temporary password. Kindly change the password setting at TCMS > System Setting > Change Password. You can use number 51216 as your temporary password. Regards. Hi, could you kindly assist me with a temporary pass code to access my TCMS v2 system. I cant seem to remember the password. Thank you. You can use 53544 to by pass the TCMSv2 software password. Hi, please send me temporary bypass key. My code is 27725.Thank you. Good day. We already send the temporary password to your email. Kindly check. Do you mean the TCMSv2 login password? Check at the small windows password and send me the number so I can generate the temporarily password for you. Please make sure that you did not close the TCMSv2 software after sending me the number because the number will randomly change. Could you please send our TCMSv2 login for number 22728, thanks! You can use 48888 to by pass the TCMSv2 software password. I lost everything due to a hard drive failure. The version we had was 2.2.017 and I have the key and activation code. I dont have the login password and the software. Hope you can help me to solve this. You can use 41904 to by pass the TCMSv2 software password. Kindly change the password setting at TCMSv2 software > System Setting > Change Password. You can use 34920 to bypass the TCMSv2 software. Kindly change the password setting at TCMSv2 software > System Setting > Change Password. Kindly use this number 62856 for TCMS temporary password. Kindly use this number 48888 for TCMS temporary password. I can't remember my password for TCMSv2, please help! My number is 34120. Thank you!! You can use 23280 to by pass the TCMSv2 software password. Kindly change the password setting at TCMSv2 software > System Setting > Change Password. Kindly use 41904 to bypass the admin password. Kindly change the password setting at TCMSv2 software > System Setting > Change Password once you are able to log in. You can use 37248 to by pass the TCMSv2 software password. Please change your password setting at TCMSv2 software > System Setting > Change Password. Please use 32592 for the password. Please change your password setting at TCMSv2 software > System Setting > Change Password. Please use 37200 for the password. Once able to login, Please change your password setting at TCMSv2 software > System Setting > Change Password. You can use 48888 to by pass the TCMSv2 software password. Kindly change the password setting at TCMSv2 software > System Setting > Change Password. Please send the screen shot and email to support@fingertec.com so that I can assist you better. Appreciate your feedback. Can anyone please help me reset my password? Kindly use 37248 to bypass the admin password. Kindly change the password setting at TCMSv2 software > System Setting > Change Password once you are able to log in. Kindly please confirm either you want to bypass admin password for TCMSv2 software or AC100C terminal. Appreciate your feedback. Kindly use 34920 to bypass the admin password. Kindly change the password setting at TCMSv2 software > System Setting > Change Password once you are able to log in. hi, please help me i got the same problem. my number is 53258.please send me the new temporary pw. Kindly use 53544 to bypass the admin password. Kindly change the password setting at TCMSv2 software > System Setting > Change Password once you are able to log in. Regards. You can use 60528 to bypass the TCMSv2 software password. Kindly change the password setting at TCMSv2 software > System Setting > Change Password. You can use 44232 to bypass the TCMSv2 software password. Kindly change the password setting at TCMSv2 software > System Setting > Change Password. Hi, kindly confirm with me, you forgot the AC100C password, or the TCMS software password? We have send the password to you Email. Please check your inbox. Good evening..i need a temporary password..my number are 44461,tq..
Is there any way to reset the device admin password? i.e need to add new employee, but the device says password is incorrect for the admin. How do I reset the password for the admin? I need some help setting a Flexi schedule. Can anybody help please. Previously, you already send email to support@fingertec.com. hi, i again lost my password. numbers are 58105. Do you still reply at this page? Hi Diza, your temporary password is 41904. Kindly change the password setting at TCMSv2 software > System Setting > Change Password. And yes, we still reply to any comments on this page. You can use 32592 to bypass the TCMSv2 software password. Kindly change the password setting at TCMSv2 software > System Setting > Change Password. You can use 53544 to by pass the TCMSv2 password. After entering the TCMSv2, kindly remove or change the password at System setting>Change password. Need temporary password please help me...the TMS number is 24094.